How Can I Go Align Chiropractic Center? Where is Align Chiropractic Center in Winter Garden on the Map? I am a transplant to Orlando from Boston and have used the services of 4 different chiropractors (two in Boston and two in Orlando). I can say WITHOUT A DOUBT that Dr. Kim is absolutely the BEST. 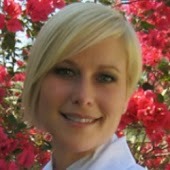 I have NEVER had a chiropractor spend the amount of time with her patients that I have experienced with Dr. Kim. She is extremely professional and a great listener. She has individual solutions for each person rather than thinking one treatment fits everyone. She is not pushy and offers many services worth trying. I HIGHLY recommend her and would actually go as far as saying you are crazy to not give her a try. Once you do I can’t imagine you’ll want to go anywhere else! Align was my first experience ever with a chiropractor. I had been suffering for three months with leg pain. After physical therapy and multiple visits to my primary care physician, I researched chiropractors in my area and decided to try Align. Align was a great experience. I feel like Dr. Soliman and her staff took ownership of my problem. They were extremely professional, kind and attentive to my unique situation. What most impressed me about Dr. Soliman is that after evaluating me for 2-3 weeks, she suggested a I see a neurosurgeon due to my advanced symptoms and lack of response to treatments. Three weeks after seeing the neurosurgeon and two weeks post-op. My pain is finally gone. Without Dr. Soliman and her staff taking ownership of my condition, I feel that I would still be trying to ineffectively "manage" my pain. In summary, Align is a professional and empathetic chiropractic that I'm glad I found. The staff at Align Chiropractic is incredibly professional, attentive, and friendly. My health has greatly improved in the short time I have been receiving treatment here. I highly recommend Dr. Soliman to anyone seeking treatment for chronic pain or to simply improve his/her over all well being and general health. In the last 30 years, I have utilized the services of 7 chiropractors in Massachusetts and 2 in central Florida. Without a doubt Dr. Soliman is the cream of the crop! She uses several different techniques for spinal adjustment - but only the ones that are best for your particular body. She is a not a "one size fits all" chiropractor. There is no need to seek physical therapy for soft tissue restrictions elsewhere. Dr. S. has successfully used the Graston technique to remove adhesions on my neck, shoulder and upper back to provide me with a much greater range of mobility. I am so excited to be able to turn my neck from side to side and see over my shoulder without pain! Dr. Soliman is generous with her time making sure that you get the very best in chiropractic & physiotherapy care. The home exercises the doctor provided me have been a great help as well. The office staff is fantastic. Marta is always pleasant and so helpful to go out of her way to find the right appointment time for you. Nancy provides excellent deep tissue massage and good suggestions for stretches that will help bring greater flexibility in the areas you hold tight. I highly recommend Align Chiropractic to anyone looking for the best care in the Orlando area! Thanks to Align Chiropractic, I’m completely healed from a left shoulder injury. I’ve experienced chiropractic care elsewhere, but NOTHING compares to the level of care and quality of treatment that Dr. Kimberly and her team provides! For about 2 months, I suffered with left shoulder pain in my rotator cuff area. I lived with the pain for awhile because I thought the muscles just needed time to heal on their own. I started getting very concerned when my range of motion worsened- simple tasks like lifting dishes from a cabinet were downright painful! After reading everything I could on Dr. Kimberly’s practice, I took a chance and scheduled an appointment. Martha was so helpful and knowledgeable with my insurance and deductible information, quoting the exact price per visit, and confirming that visits include several types of treatments based on my condition, including x-rays. From my first visit to my last visit, they provided the utmost care. After prescribing an MRI and reviewing the results with me, Dr. Kimberly felt confident that I could regain complete range of motion in my shoulder. She set up a plan that involved several types of treatment. One of them included deep tissue massages by Nancy, who was amazing with alleviating painful knots in my muscles while taking my mind off the pain with her stories and sense of humor. Some of my favorite treatments that also really improved my bursitis and range of motion were the therapeutic ultrasound combined with the Graston technique- Amazing! (too long of an explanation to share here, but read about it on her website). Eventually, Dr. Kimberly added physical therapy treatments to strengthen my rotator cuff muscles (using Thera-Bands). Wow! I was pleasantly surprised that she incorporated PT in her office as well. Dr. Kimberly, Nancy and Martha- words cannot express how thankful I am for finding you! I will never forget your kindness, caring nature and healing touch.